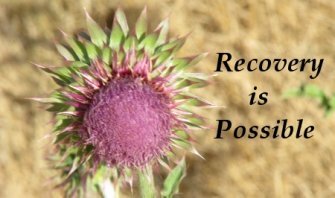 Addiction Step One: We admitted that we were powerless over alcohol-- that our lives had become unmanageable. Step One: It’s just plain hard to admit that something is wrong. But if you’re honest with yourself, whether you suffer from drug addiction or not, asking for help is all too often the most difficult thing a person wrestles with. I have to admit that I have failed, or I can’t control my life, or I have lost my ability to think clearly. You wake up one morning to discover that your life is out of control and you honestly don’t know how that is going to change. Addiction Step One: The first step is always the most important one to take, especially for the person who is suffering the afflictions of drug addiction. It is important because the individual mired in the state of addiction is so often the last person to see what is happening to them, to the ones they love and to their relationships to others. We all want to believe that we can “handle it” and that we are in control of our lives, but the truth is, once addiction sets in, the drug takes over and we are the slave and powerless over addiction’s self-centered demands. Think of a small child wandering into the street to retrieve a ball, unaware of the oncoming traffic. They only know they want to get their ball back. They’re not thinking about cars and trucks. They are not aware that if they are hit by the car they could be seriously injured, or even killed. That kind of powerlessness is similar to addiction. Children have to learn not to go into the street. They have to learn how to cross the street. They can’t do that on their own. Nobody likes to admit that they are helpless. There’s a stigma attached to that word, one that suggests that a person is weak and unworthy. But that isn’t true. How does God look at being helpless, or powerless? Think of addiction as a predator, on the prowl and looking for a meal. We are harassed by addiction, and if we’re honest, powerless to turn things around that's why addiction step one is SO IMPORTANT and difficult. Actually the Bible has some excellent insights into the nature of addiction. Human nature, the way we are wired, seems to put us at odds against that which is in our best interest. Maybe it’s something you wanted to do for somebody else and never got around to it, or it’s finding yourself thinking about something you did. This might sound strange, but once you admit you’re not in control, that’s the first step towards being in control. As much as Paul might have agonized over the human condition, he knew there was a way out, a way of avoiding the destruction and ruination that the human condition brings on us. Like an addict, Paul had to admit his shortcomings and face his condition. Once you fully grasp these concepts you're ready to move on to the next step and you've completed Step One. When you've completed Step One click here to go to STEP 2. Step Two helps you to realize that you are powerless over the ravages of addiction, that you can’t just help yourself by pulling yourself up by your own bootstraps. Don't move to Step Two until you have fully completed Step One otherwise you will have trouble getting through all 12 steps.